It is important that you take the time to consider which fire alarm is best for your needs. Selecting the proper fire alarm can be an extremely overwhelming process. In fact, finding a suitable fire alarm system and the appropriate place to install it requires a lot of contemplation. As a result, it is important that you take the time to consider which fire alarm is best for your needs. Optical alarms are best used to detect larger smoke particles. In fact, they work best for slow-moving fires that can occur in any home or commercial building. Typically, these alarms are placed near kitchens to protect against a slow-moving kitchen fire. Multi-sensor alarms are known to contain two different sensing units. As a result, they have the ability to distinguish different heat, specifically between optical and heat detection. In fact, multi-sensor alarms are able to monitor different by-products of fire. They can sense smoke and temperature separate from one another. Because of this ability, multi-sensor alarms work really well in terms of quick response to a fire. Therefore, multi-sensor fire alarms are best placed in all rooms except the kitchen due to their incredibly fast response times. 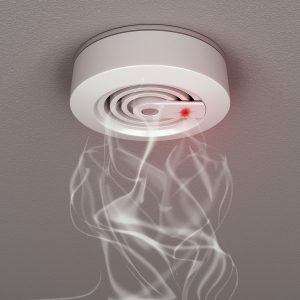 Sensitive to smoke, heat alarms have a wonderful capability of detecting any increase in temperature. In fact, heat alarms should almost always be the choice for any kitchen but also incorporated into every fire protection system in place. This entry was posted on Friday, July 7th, 2017 at 1:36 pm. Both comments and pings are currently closed.